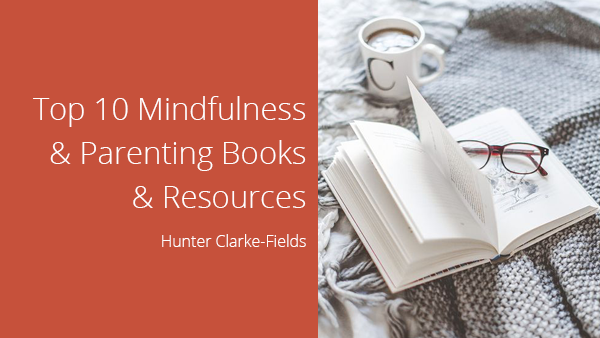 What are the essential parenting and mindfulness resources that have helped me and my clients? Daniel Siegel and Mary Hartzell show us that parenting is truly an inside job. This book shows us – through brain science, research, and stories – that the best predictor of a child’s well being is a parent’s self-understanding. You’ll learn how issues from your past can (and will) come up as a parent and how to work with it. This is absolutely a must-read! P.E.T. is like a master-class in skillful communication. Inside we learn why the ways we’ve been communicating with our kids can cause resentment and how to talk instead. P.E.T. will help you let go of guilt and have a happier, more cooperative relationship with your child. Todd and Cathy Adams are a dynamic duo that make learning about conscious parenting fun. They are often silly, but they go deep, pointing us to greater self-understanding. This podcast will bolster you each week and be a powerful support for your mindful parenting journey. This is an ideal support for your own mindfulness and lovingkindness practice. For beginners and experienced meditators alike, Sharon cuts through with down-to-earth language, making meditation accessible and easy to understand. It also comes with guided meditation audios! This book is sure to inspire you. While Simplicity Parenting can be a little bit out there (he recommends no screen time before the age of seven), this book is truly a gem. Kim successfully argues against the culture of overwhelm for kids. This book will inspire you to simplify for your child and yourself, and I promise, you won’t regret it. Dr. Shefali’s first book is really eye-opening! If you are ready to go deep in your understanding of parenting, read The Conscious Parent. I had moment upon moment of “Aha!” while reading this. It made waves for a reason. Absolutely check it out. You MUST have this book on your bookshelf. It has similar conscious communication techniques to Parent Effectiveness Training, but in a simplified format. With cartoon examples, How To Talk is a great easy reference. Tara Brach is the author of two great books, Radical Acceptance and True Refuge, but the genius of her teaching comes out in her podcasts, which are recordings of her weekly dharma talks. She deeply understands the nature of how we suffer and is dedicated to relieving that suffering. She goes deep, but also peppers her talks with funny anecdotes. Be sure to listen! Thich Nhat Hanh is the zen master responsible for translating mindfulness to western audiences. This book is a great introduction to his accessible, humanistic teachings on peace and mindfulness. Have this by your bedside for a comforting read before you sleep. My community always asks me about sharing these mindfulness practices with kids, and Carla’s book is perfect for that. Carla’s writing is down-to-earth and accessible. You won’t find any woo-woo here! Yet, she tells it like it is. This book is packed full of great ideas that you will love. Okay, that’s it! These resources have been life-changing for me. I hope they will serve you just as much. What books and resources do YOU love? Start the conversation in the comments below.